Doctor Who made history recently by debuting its first female doctor in over a half-century. The Doctor is an ancient god-like alien who travels through time and space righting wrongs and helping people through technology and progressive values. (She’s sort of a hippy Lone Ranger crossed with Mr. Wizard.) The reason the show has lasted since 1963 is the convention that the Doctor, when close to death, can “regenerate,” allowing the show to change lead actors. To date, 14 white, male actors have played the Doctor. Millions of feminist Whovians crossed their fingers and held their breath on premiere night as Jodie Whittaker of Broadchurch fame dropped headfirst into the camera frame. Thankfully, the “adorkable” Whittaker did not disappoint, as these top five moments from her debut episode illustrate. We first meet this incarnation of the Doctor when she drops upside down into a group of people who are trapped on a commuter train that has just crashed into a glowing, sphere-like, alien thing. Without pausing for breath, the Doctor immediately begins assisting the trapped passengers. Many, many Doctor Who episodes begin with the Doctor encountering a group of strangers who are trapped on a bus, in an interstellar library, on a Titanic-themed spaceship, etc. Usually, the folks are stranded and must cooperate with the Doctor in order to facilitate their rescue. However, early in this episode, an exit is discovered and the group is bound only to the adventure by interest. They can apparently opt out of the adventure whenever they want, and one of them does. Karl (who later turns out to be the intended target of the alien bad guy all along) isn’t heroic or curious; he’s freaked out and he doesn’t care what the mysterious glowing orb was. He just wants to go to work and forget about what just happened. So, in a realistic and unexpected moment, Karl takes off. The process of regeneration is varying degrees of disorienting to each Doctor. Upon discovering the absence of her multi-purpose tool, the Sonic Screwdriver, the Doctor decides to build herself a new one, confidently saying, “I’m good at building things,” then adds, “probably.” The Doctor later gives a passionate and poetic description of the difficult process of discovering oneself after regeneration, the entire time holding a claw-like tool in each hand and gesturing as she makes her point. At the end of the speech, she concludes by saying, “I’ll be fine. In the end. Hopefully.” She then tosses the tools over her shoulders. What follows is a montage of the Doctor constructing a new sonic screwdriver with whatever happens to be around. We see her welding, soldering, and sledgehammering; finally, she emerges with goggles over her eyes, carrying a decidedly feminine sonic screwdriver. The Doctor says “Ta-da,” the screwdriver sparks at the end. The Doctor jumps a little, wrinkles her nose, and says, “Should be fine,” with a shrug. We are reunited with Karl, the character who didn’t care what was going on and just wanted to get to work and forget everything, and, as it turns out, was the target of the bad guy. Karl, a crane operator, is listening to a self-help tape when we meet him again. “I am special,” the recording asserts in soothing tones. Karl repeats these affirmations as he goes about his business. He later flees from the monster, crawling on construction beams hundreds of feet in the air, and eventually, as he attempts to jump from one beam to the other. Many things about this Doctor feel familiar to the long-time fan. The scene in which she tries to coax the reluctant Karl to jump from one construction beam to another will feel very familiar to anyone who remembers the Tenth Doctor, played by David Tennant, attempting to persuade Donna Noble (Catherine Tennant) to jump from a speeding taxi to the Tardis in The Runaway Bride episode. The Doctor often has an ace hidden in his/her sleeve, some vital component of the antagonist’s plot, which the Doctor has stolen and dramatically reveals at a climactic moment. In The Woman Who Fell to the Earth, the Doctor has stolen part of the alien invader’s transport home. “Let him go or I destroy…” and then she begins rustling around in her pockets at what should be the dramatic reveal, a comic twist on a heroic moment. Later, as is the custom, the Doctor offers the alien a choice to abandon his nefarious plan and leave peacefully. Whether the new doctor is a woman, or Scottish, or whatever, change is the very nature of Doctor Who, and it is frightening to see this iconic character change. Every time a new Doctor takes over, it is a new journey. 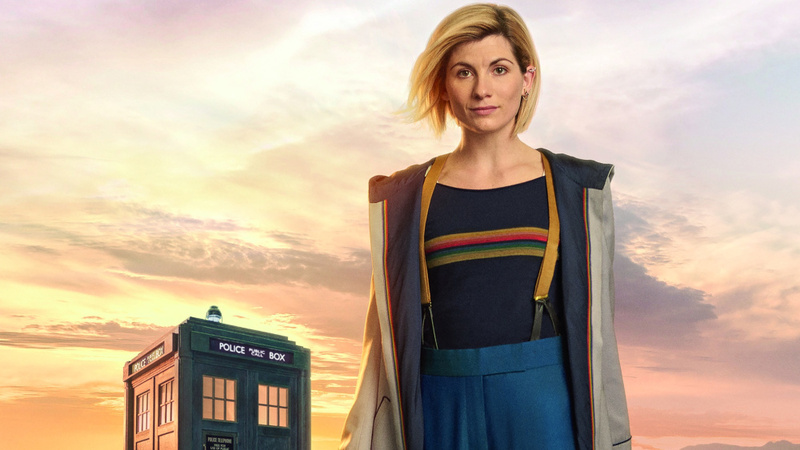 As the Doctor tells us, “new can be scary.” We are frightened that a thing we love will be ruined, but as the Thirteenth Doctor nods to Doctors past by donning a long coat and a pair of suspenders, we see that she is every inch the Doctor, and we are reassured that this beloved legacy is in good hands. The post The 5 Best Moments of The New Doctor Who appeared first on ComingSoon.net.